Another not trite female vocal from Denmark. Another band which career is just beginning. Indie music, interesting atmosphere, a little bit of unconventional pop, a little bit of around-folk climates and charisma which can be heard in each song. Listen to LEAP OVER LIGHT. You won’t regret it! 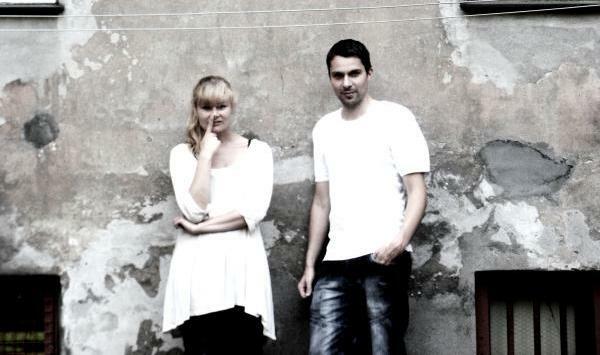 Julie Aagaard i Lennart Rasmussen created their new musical project Leap Over Light last year. The duo released an EP „Wild Oak”. It’s hard for me to label their music. It’s not pop, it’s not rock or folk, neither the alternative music. It’s something which is their own. "Howl At The Sun" reminds me a little bit some compositions of PJ Harvey. But I think it refers to more indie stuff as well. Simple combination of guitar and tambourine mixed up with Julie Aagaard’s bitter-sweet vocal is very hypnotic. „Wild Oak” EP starts with the more live and vivid Leap Over Light’ song called "Thousand Lies". Interesting bridges from slower to faster rhythms, vocal like from the actor song and thrilling chorus – your leg will dance by itself! A little bit of joy and a little bit of contrariness – all served in a good style. Denmark is a bit away from Poland but fortunately the Internet makes it closer. If you know German you can read about Leap Over Light here on a blog Four Sheets To The Wind Of Copenhagen. Nordic-music.blogspot.com also posted about Leap Over Light here. You can of course buy the EP „Wild Oak” via iTunes. Four songs from the EP are not enough. I wait unpatiently for a new stuff from Leap Over Light. And I recommend them to you all – get familiat with their music. It’s beautiful, gentle but it’s not a copy of what was sang and played before. Facebook - like the band!